BINDI Irwin will never forget her late father's relationship advice. "My dad always said I wasn't allowed to date until I was 40. And if I was going to date, he would have to swim across our largest crocodile's pond, and if he made it to the other side without being killed and eaten, then he could go out with me," Bindi told Sunrise this morning. It seems there hasn't been a worthy suitor to take Steve Irwin's challenge...yet. 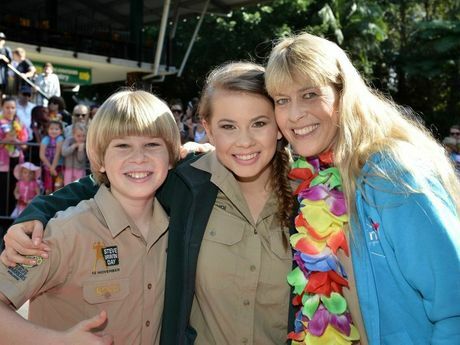 Bindi Irwin celebrates her 17th birthday today at Australia Zoo at Beerwah. From the excitable little girl who grew up perched next to her wildlife warrior dad, to a beautiful young woman, the Sunshine Coast has watched our very own Bindi blossom. 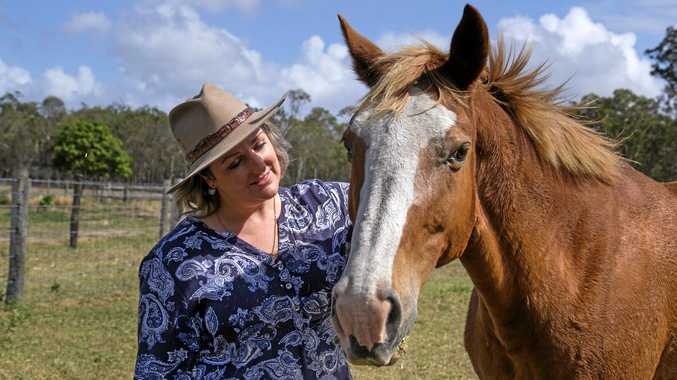 From the heart: Bindi and Terri Irwin: Passionate wildlife conservationists Bindi and Terri Irwin open their hearts and share their thoughts about life in contemporary Australia. The zoo is hosting a Luau Island Party to celebrate the occasion today. Bindi may have largely ditched the khakis, but says being a wildlife warrior was always in her heart. "For me, as I get older, I'll certainly have some fun dressing up. I mean, Grace Kelly is my fashion inspiration. She is so beautiful and she's someone where I look at her and just want to be like her in every fashion choice," Bindi told Sunrise. "It is kind of fun to wear make-up every now and then, but I'll always be true to what I am, and khaki will always be a part of me." Bindi was hesitant to answer "the boyfriend" questions, simply saying "well, for me at the moment, I am enjoying just growing up and there are wonderful people in my life." News IMAGINE going about your daily life, minding your own business, when suddenly you start receiving threatening and abusive messages online. Council News Council asked to draft a master plan for Kendalls Flat.